I'm always looking for the easiest and quickest way to dress up for Halloween. It has been one of my favorite holidays for years, but I absolutely hate having to buy a costume—or even worse—spending hours on end trying to make one myself. Luckily, there are a few badass Halloween costumes out there that require relatively little work to accomplish. 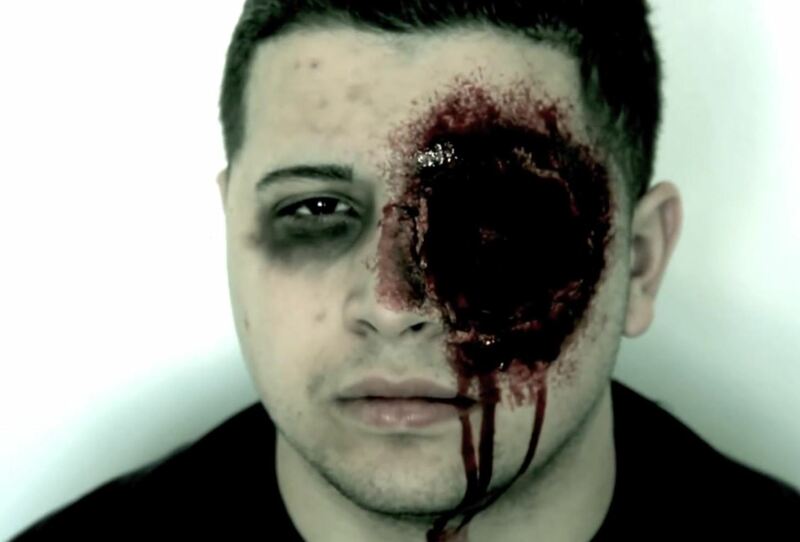 Like this gunshot to the head makeup from Mel Rose, which uses a freaking sock for the main missing eye effect. I can work with socks. How about you? All you really need is a black dress sock, liquid latex to adhere it the sock to the eye, some toilet paper (who doesn't have that?) for fake skin, and fake blood. Also, some foundation to color the toilet paper for a more skin-like feel, red makeup for blood coloring, some black eye shadow, and one sponge.